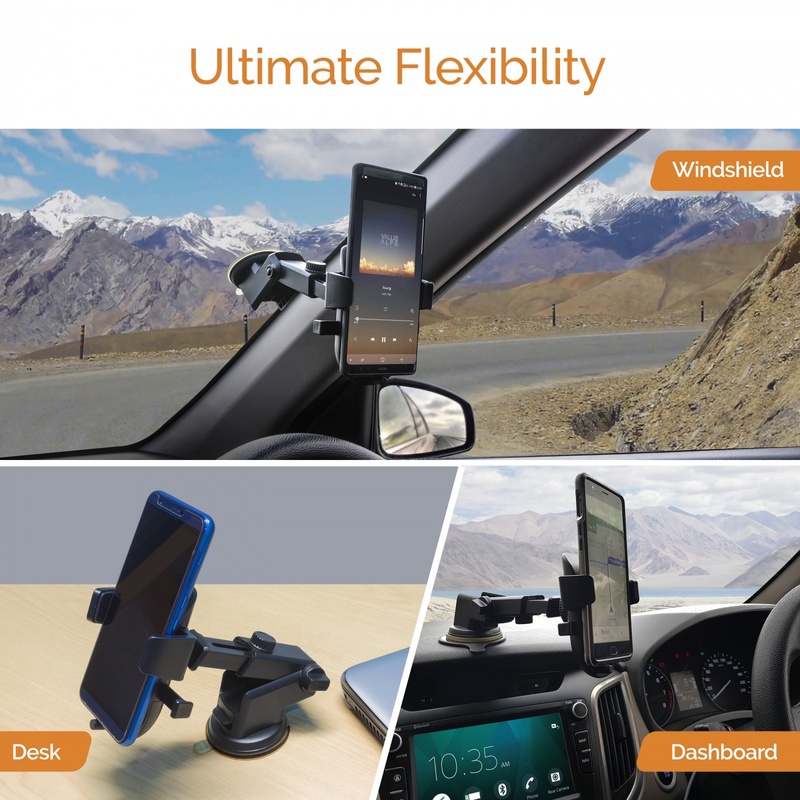 The iGrip Telescopic One Touch Car Mount is precision designed to offer MAXIMUM STABILITY and a LARGE NUMBER OF MOUNTING OPTIONS. 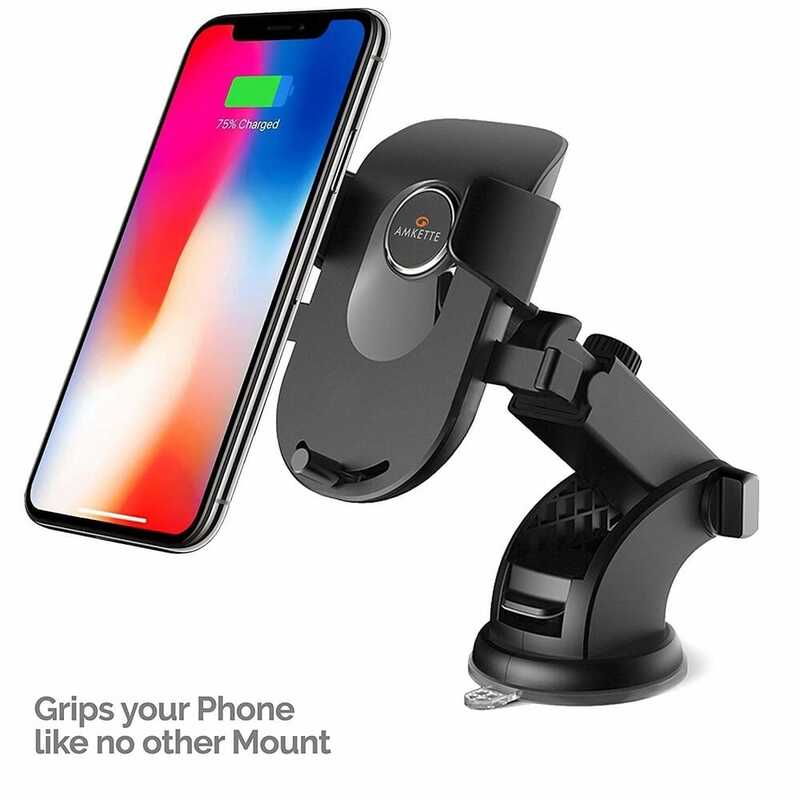 With it’s stabilized telescopic arm, strong pivot joints and class defining suction grip, this car mount is the ultimate NO-COMPROMISE phone holder. The STICKY GEL PAD on the suction surface prevents any air gaps when mounted, ensuring a SUPER STRONG GRIP on practically any surface. For ideal usage, a smooth and clean surface is recommended. For TEXTURED DASHBOARDS or DESKS a smooth DASHBOARD MOUNTING PAD is included. Perfect for your Car, Office or Home. Not only is the surface suction very reliable, the Grip on your phone is also EXTREMELY SECURE. With a gentle push on your phone, POWERFUL CLAMPS safely grip your phone in a soft cradle. And when it’s time to go, simply press the two side handles and Go! 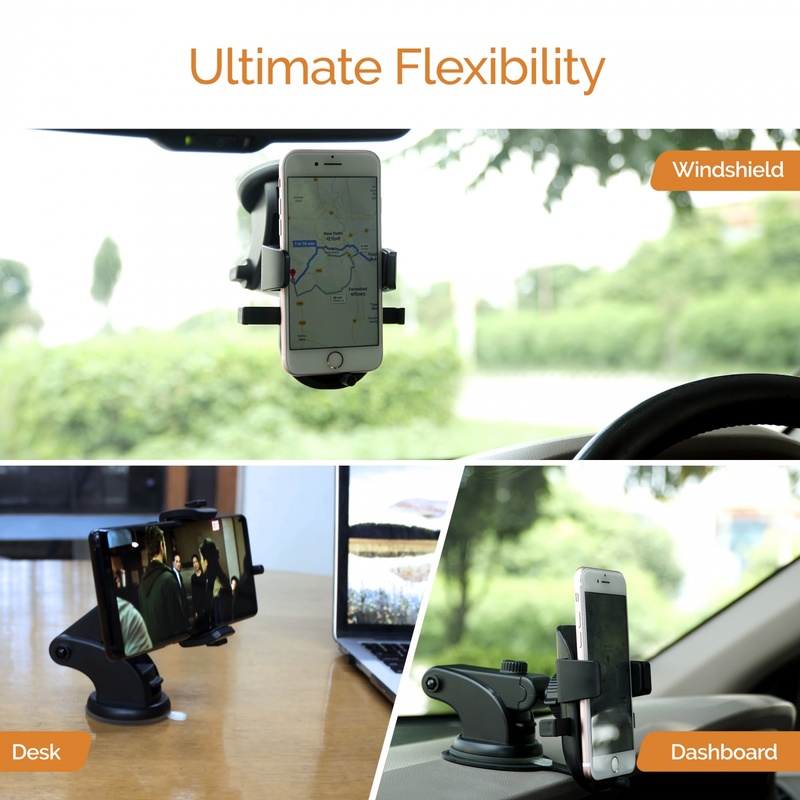 Reliable Suction, Secure Grip and EASY ONE HANDED OPERATION makes this Car Mount the IDEAL multipurpose Phone Holder. The telescopic arm extends up to 8.3 Inches (21 cm), with a 230 degree rotation, and easy PORTRAIT and LANDSCAPE adjustment. The ADJUSTABLE BOTTOM SUPPORT lets you connect cables to the bottom of your phone, WITHOUT COMPROMISING on the safety of your device. 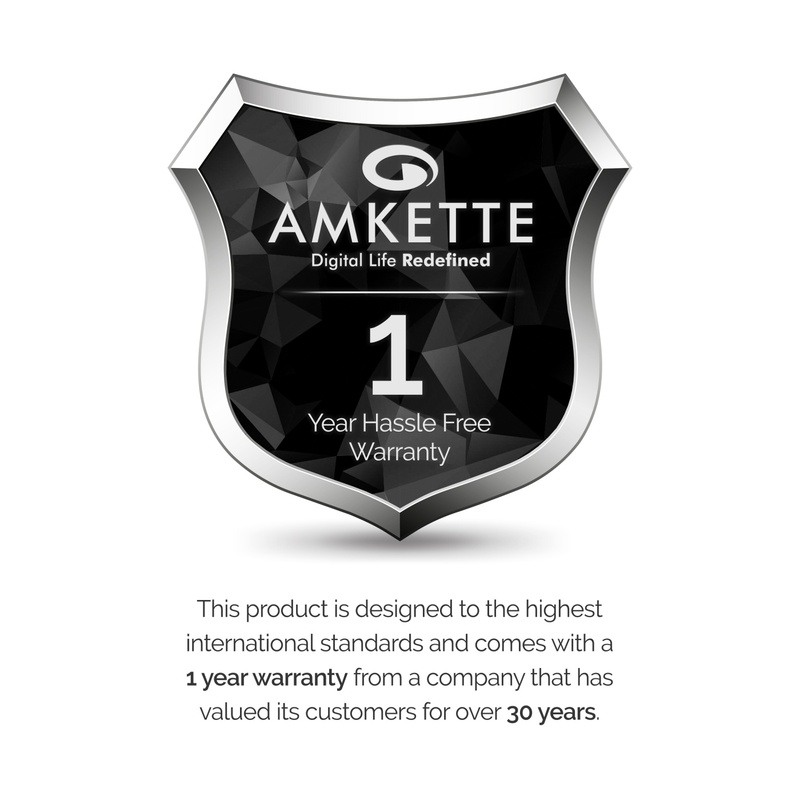 THE AMKETTE ADVANTAGE: HASSLE FREE 1 YEAR WARRANTY from a company that has valued customers for over 30 years. REGISTER YOUR PRODUCT, on the Brand Website, for extended warranty. For any assistance, WhatsApp us on +919312691448. 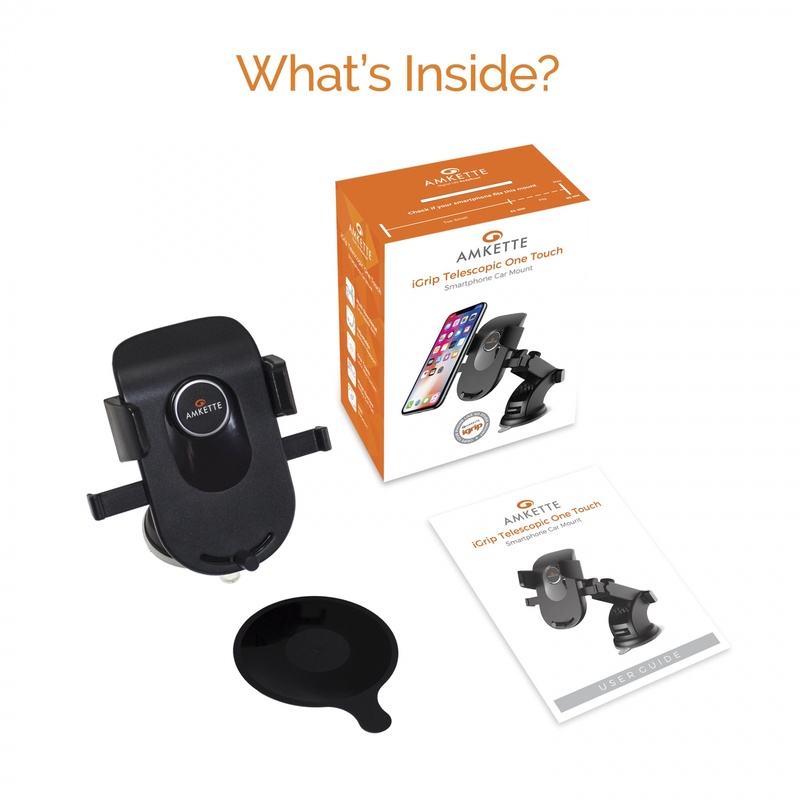 Supremely adjustable and flexible, the Amkette iGrip One Touch Telescopic Car Mount is the perfect car mount for every situation. 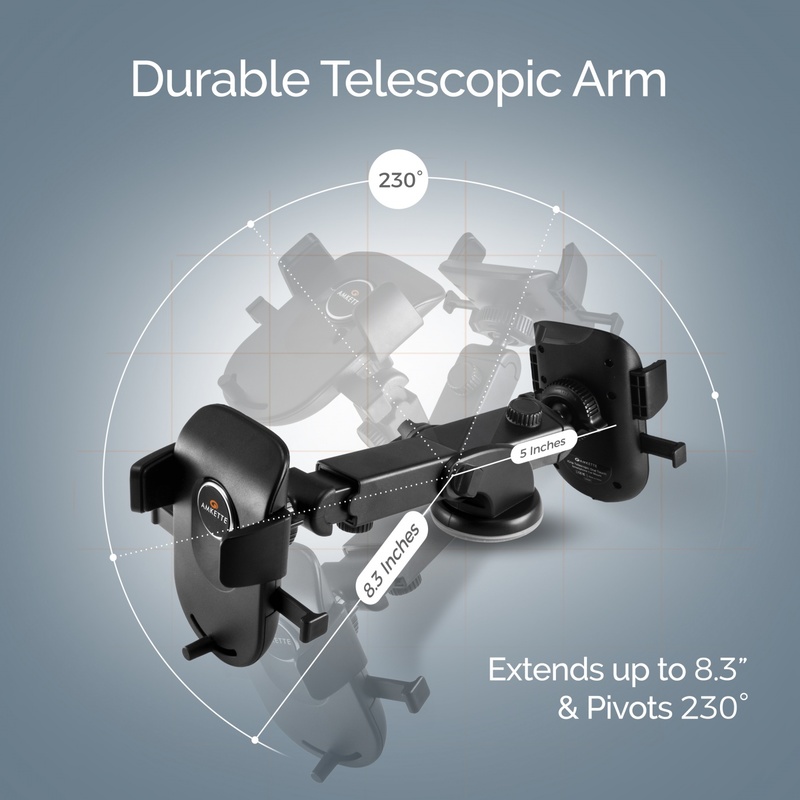 With a powerful clamp, 8.3 inch long adjustable telescopic arm, easy one handed operation and a unique adjustable bottom support, your phone is not only secure, it’s also just a touch away. The mount’s adjustable bottom foot ensure the compatibility of all smartphones to charge and mount at the same time with the super strong grip. With greater flexibility, the mount can be used upto 230 Degrees. The Super Sticky Gel on the Suction pad ensures a rock like grip on practically any surface. If using on a textured surface, there’s a handy Dashboard Pad provided. Also, to ensure the best grip possible, one should always clean the surface before use. The best part about this car mount, of course, is it’s Easy One Handed Operation. Simply need to press the two side bars till they click in place, and push your Smartphone in. The Clamps will securely and reliably close around the phone. 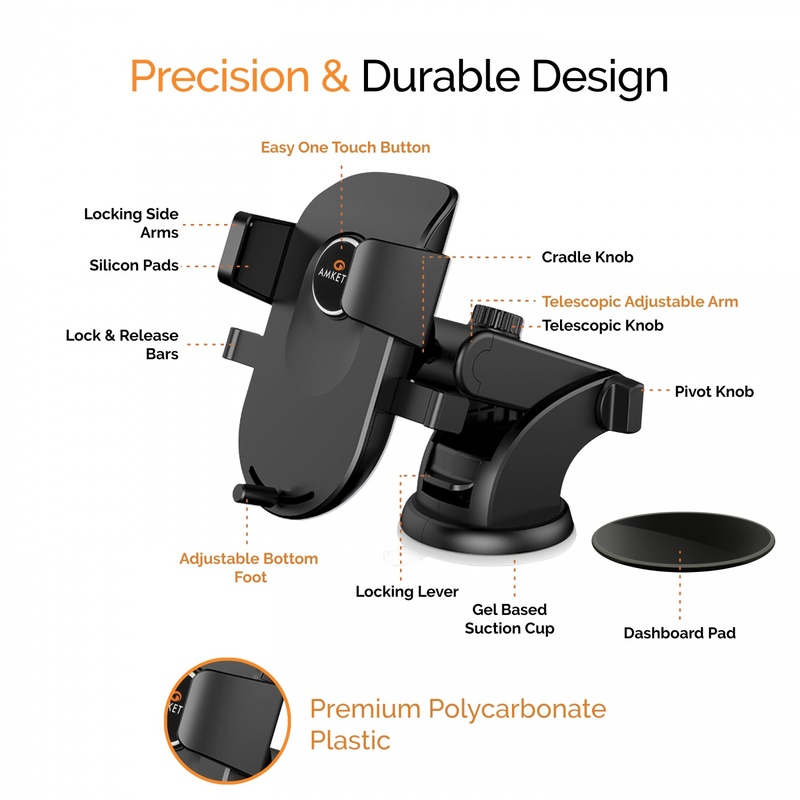 The PRECISION DESIGN, and PREMIUM MATERIALS along with the SMART FEATURES ensure this is the right car mount for every situation.